To practice as a Podiatrist you must be registered with the health care professions council (HCPC) In order to register with the HCPC you first need to have successfully completed an approved degree(Bsc) in podiatry. A Chiropodist or Podiatrist is a specialised foot professional who treats people suffering from lower limb or common foot problems such as bunions and ingrown toenails. Although many people get confused in understanding the difference between a Chiropodist and a Podiatrist, to be honest there is no difference between the two. This is because podiatry is the new name given to chiropody in 1993. Both are considered as foot professionals in the UK and Ireland and both have acquired the same qualifications and experience. The word Chiropodist originates from the Greek pod meaning foot. The word Podiatrist also originates from two ancient Greek words Pod meaning foot and iarist meaning Healer. Be it a Podiatrist or a Chiropodist the role of these foot professionals is to advise you on how to take care of your feet and the type of shoes that you need to wear. 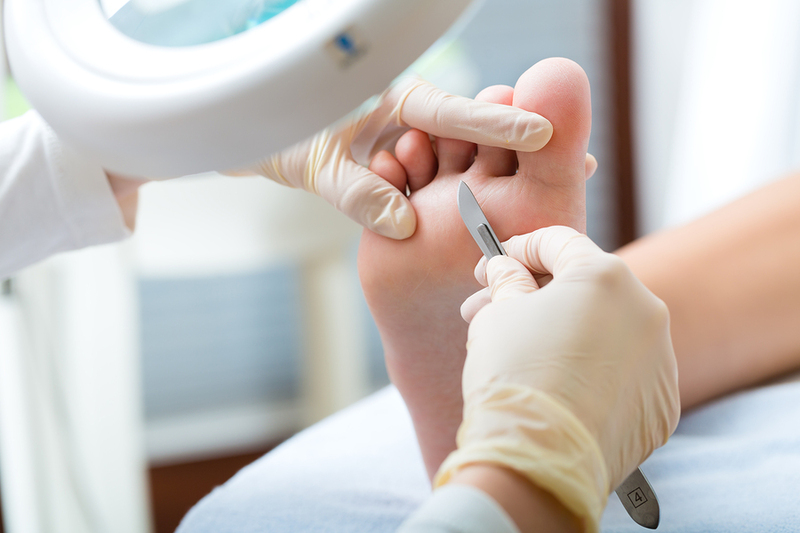 Podiatrist and Chiropodists can also treat and alleviate day-to-day foot problems such as fungal or ingrown toenails. They can also treat callouses and corns, verrucas, smelly feet, cracked heels and athletes foot. Podiatrists and Chiropodists can also help to ease the pain of people who have diabetic foot ulcers and diabetic foot complications such as neuropathy. A Podiatrist or Chiropodist might also advise you to wear specific shoes or orthotic devices to help you with your condition. In case your feet are flat or you have high arches then they can provide you with a bespoke support that is suitable for your feet so that you feel more comfortable.